I’ve interrupted my series to share a special occasion with those of you who have been reading my blog. 14 years ago I had come to a point of desperation because of my numerous failed attempts to quit smoking. Not an easy feat to be free of the frequent urge to light up and puff away on cancer-sticks. I prayed until morning and attended the Sunday worship service. Afterwards, I asked the Pastor to pray with me. 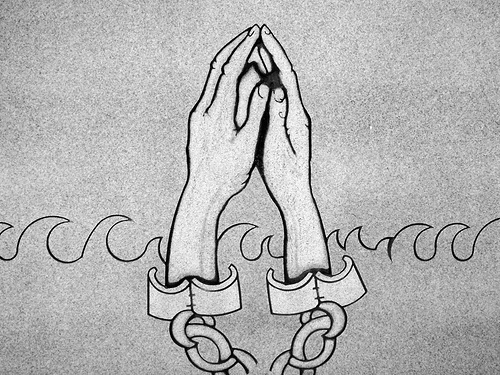 When he finished praying, I felt shackles pop off my wrists. This chain smoker was no longer chained to smoking. I was free, free, free! God’s power kept me from any temptation to return to the old habit, furthermore, I didn’t have withdrawal! August 23rd will always be remembered as my Spiritual Birthday. It was on this date that Jesus set me free.